Thomas Hartman, Innovation Brewer at ZX Ventures, sat down with us to chat about IPAs. Let’s talk about the history of IPAs to get started. The IPA, or India Pale Ale, was one of the first real bastions of American craft beer. At its beginning, craft beer was a revolution against “big beer” and “lite beer.” IPAs allowed budding craft brewers to produce intense flavors in a light-colored beer instead of a traditional heavy stout. In a typical enthusiastic all-or-nothing fashion, the craft beer pendulum swung rapidly toward over-the-top bitterness. What’s the flavor profile of an IPA? How do we get there? Craft brewers seeking to highlight American ingredients—and to differentiate themselves from macro breweries—put as many hops and as much flavor in their beers as they could manage. (Note that while hops have distinct flavors besides bitterness, hops are the easiest way to enhance a brew’s bitterness.) These styles evolved over time to showcase the intense flavors of local and specialty ingredients. Using different hop varieties, adding hops at multiple brewing stages, experimenting with lupulin powder (purified resins and aromatics from hop flowers), and dry-hopping are all methods to enhance the hop flavor and bitterness of IPAs. Speaking of bitterness: a beer’s bitterness is measured in International Bitterness Units, or IBUs. The higher the number, the more bitter the beer. It’s widely believed that most drinkers’ palates cannot differentiate bitterness beyond a certain point, somewhere around 80 IBUs. Therefore, an imperial or double IPA logging 100 IBUs is probably overachieving, delivering more bitterness than most drinkers will detect (much less appreciate). How do you see the IPA trends evolving over time? I’m really glad to hear that the trend in IPAs today is toward lower ABVs and lower IBUs—less bitter beers with a more balanced flavor profile. Another great development in IPAs focuses on local hops or single-hop varieties. I’m particularly excited about rotating-hop recipes. For these, a single beer recipe is produced repeatedly, each time using a single hop variety but changing that variety from batch to batch. Each time the recipe is reproduced and a new hop is cycled in, the variations in flavor and mouthfeel reflect the hop used. For instance, Cascade hops bring a floral, citrusy flavor, emphasizing grapefruit. The same recipe brewed with Mosaic hops will tend to be more tropical and floral, whereas a third cycle using Simcoe hops will have more of a piney flavor. New hop varieties are in development all over the world today, including some that are truly out there! Perhaps there’s a hop variety that will appeal more to you. Believe it or not, there’s an IPA style to suit nearly every beer drinker. If you want to dive back in and give IPAs another try, look for session versions, which are lighter and more palatable (one session IPA I’ve really been enjoying lately is Blue Point’s Mosaic). Avoid the hoppier West Coast styles and especially anything described as an imperial, double, or triple IPA—these are the “bitter is better” styles with double-digit ABVs and extreme IBUs. Also, consider trying some regional IPAs or specialty styles. From cloudy New England IPAs to roasty black IPAs, where the hops are most evident in the finish, to fruity or flavored IPAs, there’s something for everyone. ZX Ventures Innovation Brewer, Thomas Hartman, has noticed a change in the way beer drinkers approach brewers and beer subject matter experts. What’s behind the change? Check out his views here! What questions do you normally get about beers and how are they changing? I used to hear a lot of basic beer style questions. For example, what’s the difference between an ale and a lager? (In case you don’t know: it’s all in the yeast. These two styles use different types of yeast that prefer to be fermented at different temperatures and therefore take more or less time to do their job of converting wort into beer.) Now, though, while I’ll occasionally get a softball like that, I’m often asked much more sophisticated and nuanced questions that are truthfully difficult to answer. Today’s questions often focus on differentiating between very similar types or styles of beer. What makes these questions hard? As experimentation has blossomed within the craft beer world, the lines between styles are blurring. Definitions are either unclear or are no longer strictly applicable (if they ever were). What are some examples of those more nuanced questions? Another big area of questioning relates to specific ingredients. Which hops are represented in this beer, and what does each do for the flavor profile, individually or in combination? And, especially recently, where were these hops grown? I just sampled several batches of a beer that were made with the same hop variety but with the hops in each batch sourced from several different countries and climates. The resulting beers were wildly different in flavor and character. This is a fascinating area for future development! What do you think is behind the changing questions you’re getting in the industry? People who are drinking beer today definitely know what they’re talking about. 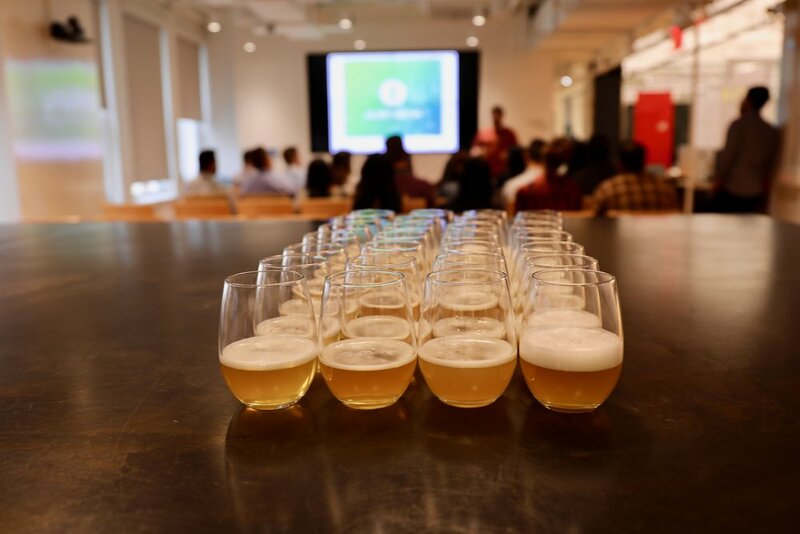 Compared to other industries, these people are intensely passionate and have made the effort to educate themselves on beer. They’ve been exposed to a lot of different things, and have both a wider and deeper knowledge about beer in general. All of this is now reflected in the types of questions I get as a brewer. Craft beer has always waged this battle to educate consumers, both to justify the higher price tag of craft beer and to engage people with a deeper experience of beer. The growing education we see today results from several sources. First, the internet is critical. Craft beer represents 12 to 15% of the beer market by volume and 20% by dollars spent, and these drinkers want to appreciate what they’re paying for. Fortunately, if beer drinkers want to know the difference between the flavor profiles of specific hops, they need look no further than Google. More and more they’re asking questions—smart questions too—and then researching and looking into the answers. Second, there’s a growing recognition of beer-drinking as an acceptable hobby, accompanied by substantial resources for hobbyists. Paralleling the wine world and its sommeliers, the Cicerone program has developed a training and certification course for enthusiasts. To join the ranks of the 2,500 certified Cicerones worldwide, an applicant must pass a four-hour exam that includes taste tests and a written portion. Other large organizations are similarly dedicated to educating drinkers about their beer. Finally, the homegrown local beer industry has contributed to the education of beer drinkers. With a whopping 5,000 breweries in the U.S. today, every community has some form of small brewery or local taproom where people gather. As people spend more time among their kindred local beer enthusiasts, they are learning what they like (and don’t like) and how to talk about beer in a nuanced and specific way. It’s exciting to see the evolution of beer drinkers here in the U.S. and around the world. In terms of beer as a hobby, I can’t wait to see where we go next. 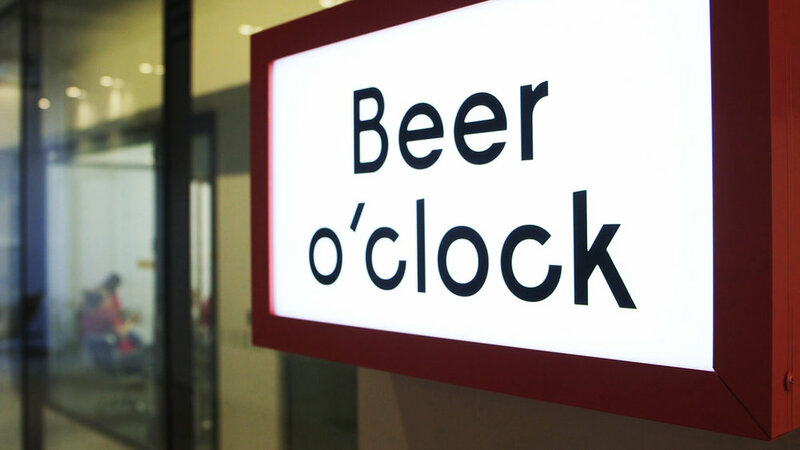 We sat down with Etkin Tekin, Global Manager of Specialties and Innovation, to get some insight on how to order a great beer. Check out his tips here! With the popularity of craft beer and local breweries today, how do you get started in deciding what kind of beer to order? No one can possibly be familiar with every beer available everywhere today. It’s worth it to develop your ability to order a beer you’ll enjoy, even when you don’t recognize anything on the tap list. This is especially true when traveling and looking for a great beer to wind down after a long day. Remember that craft beer practically begs for exploration, with its myriad styles and flavors. In the face of that much variety, people are often afraid they’ll waste their money (or their drink quota) on something they won’t enjoy. It’s the same way with food: if a menu offers both a range of intimidating specialty entrees and a simple burger, customers will skew toward ordering the burger. Initially, it might be difficult to step out of your beer comfort zone, but the rewards are tremendous. Challenging yourself and intentionally expanding your palate will help you discover new beers—some of which are bound to be excellent—and enable you to enjoy an increasing range of choices. How should you approach picking out a location to start trying something new? A dive bar won’t have the diverse beer list or the experienced staff you need to make an informed decision. Look for a draft beer list with depth—both a variety of offerings and a complexity of styles and flavors. Online reviews can be a great resource when you’re unfamiliar with the options in your area. Some things to look for are restaurants that offer beer-pairing dinners and bars that host tap takeovers, since this shows focus and a passion for good beer. When you enter an establishment, judge for yourself: how clean is the bar? Does it have an appropriate variety of glassware, properly stored upside-down? Do servers rinse their glasses before pouring beers? Do they pour with care or sloppily dunk the tap head into each glass? Finding a reputable craft beer bar with staff that can be trusted is the key to having a great experience. What about asking questions once you’ve found the right bar? Once you’ve chosen your location, grab a seat at the bar, and be as engaging as possible with your bartender. Relay information about what you like and what you’re in the mood for. Are you a hophead? Do you love complex barrel-aged stouts? Let your server know! Be inquisitive, especially when traveling to a new destination. Asking the right questions— such as what a beer tastes like, what it’s similar to, what it pairs well with—is the best way to identify beers that you’ll enjoy. Ask what your server enjoys or what the best beer on tap is. What would your server order for his or her shift drink? Depending on the sophistication of the bar and your bartender, you can glean some outstanding recommendations this way. And, most importantly, be courteous and friendly—your goal is for your bartender to want to guide you on your tasting journey. Trying new beers is one of the best parts about traveling. The next time you’re in an unfamiliar location, seek out a great beer bar and make friends with your bartender. You’ll have an experience you can remember, and might even find your next favorite beer too! You may not have ever consciously recognized it, but bubbles are essential to your enjoyment of beer. Without bubbles, the carbon dioxide produced by yeast during fermentation, beer just wouldn’t be beer! Don’t believe me? Think about champagne. If you served champagne without bubbles to people, how do you think they would react? They probably wouldn’t be that impressed, because the delicate flavor of champagne stems from those little bubbles. Plus, bubbles are visually exciting in the flute—they’re part of the overall experience of drinking champagne. Similarly, bubbles in beer are fascinating because they trigger several senses, each of which enhances the beer-drinking experience in a different way. First, the carbonation in beer stimulates the taste buds, specifically the sour receptors. Bubbles also help to “clean” the mouth, refreshing the palate and shortening the lingering aftertaste that is sometimes present in very bitter beers. A second area triggered by carbonation is one that you’ve probably experienced when eating buffalo wings or spicy Thai cuisine: the trigeminal nerve. In short, the trigeminal nerve is partly responsible for detecting pain, like the pain caused by the capsaicin in hot peppers. Chugging a highly carbonated drink causes something akin to pain, as the trigeminal nerve responds to the intrusion of carbon dioxide. A third piece of the sensory puzzle affected by carbonation is our sense of a drink’s temperature. Chances are, if you were to drink sparkling water and still water, both at the same temperature, the sparkling water would seem more refreshing. This is the magic of bubbles. It’s a physiological anomaly, but the carbonation in beer and other drinks affects how we perceive their temperature, which in turn makes a drink seem more or less refreshing. More scientific experimentation is necessary before we can fully understand this relationship. Finally, bubbles add to one more part of the sensory experience of drinking a beverage. Depending on the nature of the drink (beer, soda, or sparkling wine), the bubbles can burst in your mouth, your throat, or your stomach. This is because bubbles are pockets of gas within a liquid and therefore are influenced by the composition of that liquid. Since beer is much richer in proteins than soda or wine, beer bubbles tend to be much finer and much more stable—they’re literally protected by an invisible protein “armor.” Generally, beer bubbles persist through the mouth and throat and don’t burst until they reach the stomach. This may contribute to the feeling of bloating that some people associate with drinking beer. With many tiny bubbles exploding in your stomach, you feel full quicker, compared to when the bubbles pop in your mouth, leaving you less full, with merely a pleasant tingling sensation on your tongue. Different beer styles will display different bubble dynamics, creating unique sensations. No matter the style, though, bubbles are a fascinating aspect of drinking beer. Think about that the next time you crack open a craft beer and take your first sip. Stay tuned to learn about nitro bubbles! Learn the basics of the craft beer-focused Cicerone program.